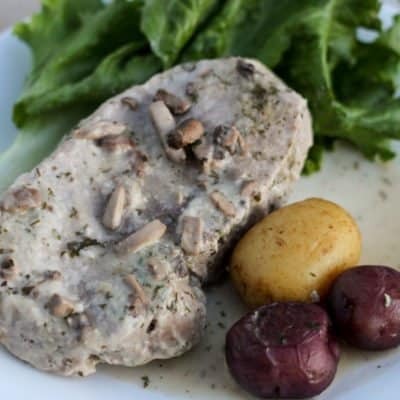 A quick meal for busy weeknights, Crockpot Express Pork Chops and Potatoes are the perfect all-in-one meal! 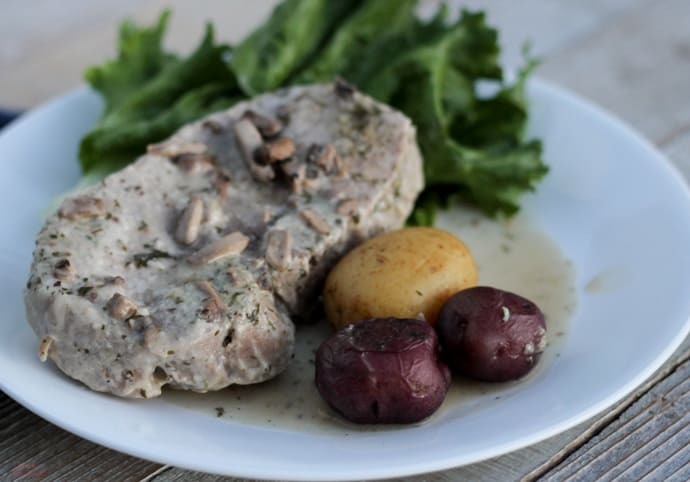 The creamy sauce is perfect for using as a gravy as well. I find pork chops to be very tricky little beasts. It’s pork, so you have a mental thing about making sure that it’s done all the way, but chops cook SO quickly that I often overcook them on accident. Then there’s the added complication of bone-in vs boneless chops, and the thickness varies so much that there really can’t be a set “cook time” for pork chops. I decided to try them in my new pressure cooker just for kicks. 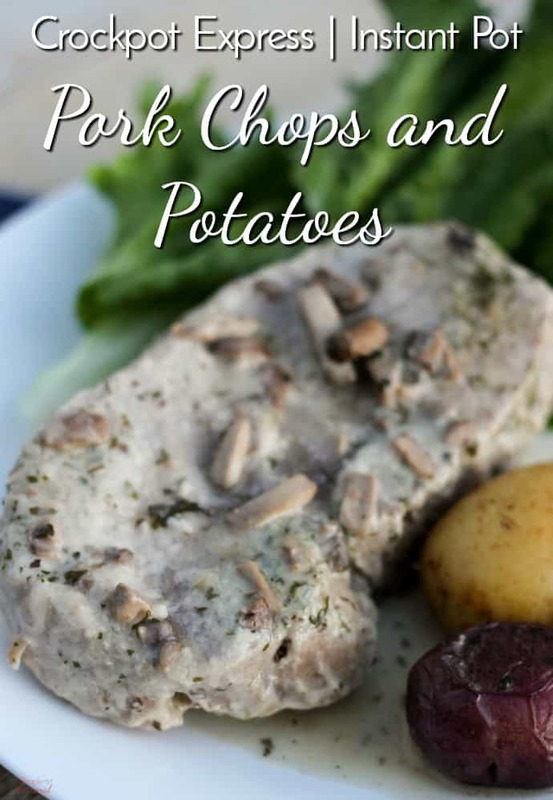 These Crockpot Express Pork Chops and Potatoes turned out quite well (the potatoes were especially delicious) and I think using a pressure cooker for pork chops will be my new go-to. I’ll definitely be making potatoes this way again. They were so unbelievably creamy and soft and bursting with flavor. I didn’t even add any butter to mine! Now, full disclosure: there were some unforeseen issues. I didn’t time things well, and my husband wasn’t home for dinner when these were done, so I left them in the Crockpot Express (Instant Pot) on “warm” and they continued to cook. By the time we were eating, some of the pieces were dry and overcooked. However, when I pulled them out the first time after the pressure release, they were right over 145 degrees internally and would have been perfect. So live and learn-don’t let these sit too long. 🙂 I’ve adjust the cook time slightly to allow for a longer pressure release. Press brown/saute and add butter to the pot. Brown the chops one at a time on each side. Set chops aside and press start/stop. Place potatoes in the bottom of the pot and pour 1 cup water over them. Place the trivet over the potatoes. Add the chops to the pot (you may have to stack them) and sprinkle with the ranch dressing packet. Do a natural pressure release for 8 minutes. Check your chops with a meat thermometer to be sure they are done! They should be 145 degrees in the center. 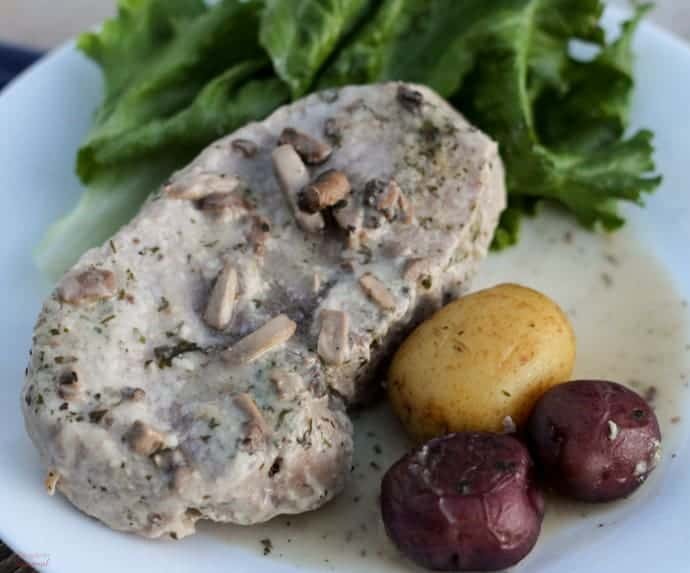 Serve with the potatoes and the "gravy" created from the soup and the cooking juices! 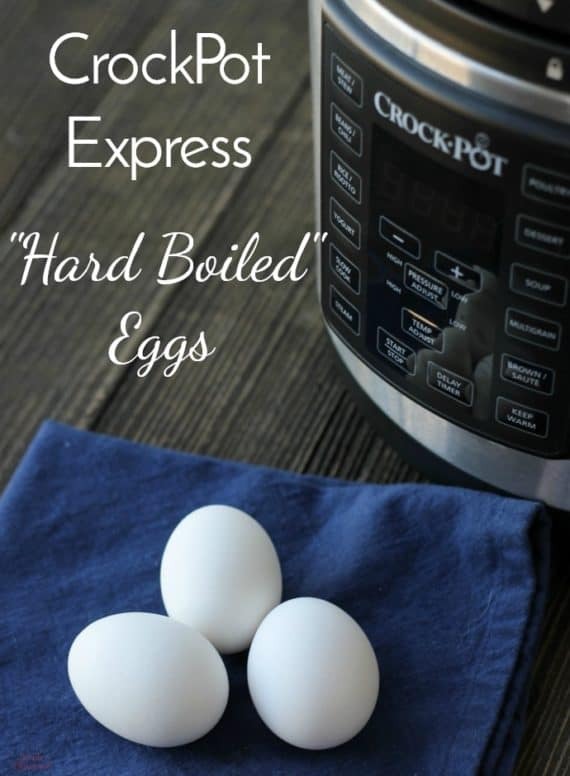 If you’re new to the Crockpot Express, be sure to read this Crockpot Express Cooking Guide and check out my other pressure cooker recipes! 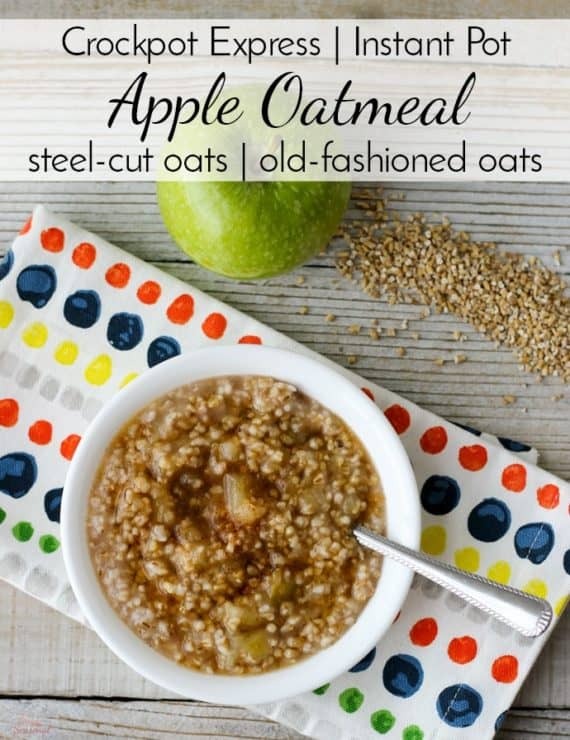 (They work for the Instant Pot, too!